Mirrorworld are proud to introduce our bespoke made to measure mirror service. A service which genuinely understands the importance of a professional yet personal and friendly approach, We working closely with our customers to design and build beautiful bespoke mirror projects, using a combination of the best tried traditional techniques and materials with the most modern up to date equipment and practices. This in collaboration with the largest selection of bespoke mirrors on the web blend into a stunning array of design, styles and prices to suit every room, taste and budget. The choice truly is yours. "The ultimate in customisation and exclusivity"
When considering purchasing a bespoke framed mirror you may have a detailed idea of what you're looking for or maybe just a vague notion, but what happens next and how much will it cost? From the moment you contact our sales team, we'll talk through your ideas, needs and requirements, establishing in detail exactly what you are looking for. Thus enabling us to provide the very best professional help and advice that. At Mirrorworld we believe that quality, knowledgeable advice is paramount in all that we do, making your experience with us an enjoyable and rewarding one. "Bespoke design can maximise space in your home by offering highly customised sizes"
There are a number of choices to make when deciding on your perfect mirror, size, design, shape, glass decoration etc. and each have a significant part to play in the final cost. Our knowledgeable team are here to guide you through these options creating the perfect mirror for you. Our free online tools are great for those who know exactly what they're looking for, but calling on our team of experts can make your choices an exciting and enlightening process. 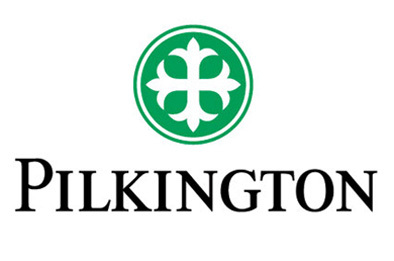 "Quality of material and Craftsmanship assured"
Pilkington, whose use of the latest technology and established commitment to quality are a perfect match for all our bespoke mirror services. 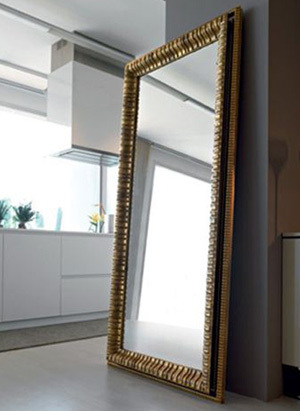 Pilkington's glass has proven to be durable and long lasting, enabling Mirrorworld mirrors to meet and exceed all existing quality requirements set by the European Standard EN1036. Additionally, Optimirror™ provides excellent protection of the reflective silver layer, without the need for the copper and lead used in the conventional process. In addition to being environmentally friendly to manufacture, the Optimirror™ offers far greater resistance to natural atmospheric corrosion – thus reducing the unsightly problems of black edges and spot faults. Once your choices have been established, the work of assembling your mirror can now begin. The first job fall to our quality control team inspecting all materials prior to manufacture ensuring moulding and mirror are free from marks, cracks, splits or unintentional blemishes. Creating the mirror comes next, cutting polishing and finishing the Optimirror to the precise dimensions required. Followed by the frame, moulded, cut and pinned to match. The two halves are then brought together with the sundry components, to be assembled with the utmost care and precision. All aspects are now checked and double checked and a final quality control inspection made. The lovingly created finished mirrors are then packed ready for delivery or despatch. We are proud that many of our customers return time and again for different mirrors or projects as well as introducing new customers to us by recommendation. "Mirror was exact size and packed well. Would definitely recommend this company, kept me up to date every step of the way." "Excellent service from Mirrorworld. Great to be able to have a mirror of an exact size made to measure. The website makes it really easy to specify the dimensions and choose the frame. The product is good quality and, whilst it takes a week or two for it to be manufactured and delivered, it's well worth it if you want a nicely-framed mirror of specific dimensions." "Mirrors great quality for our campsite washrooms, thank you"
"I ordered a piece of mirrored glass, I needed it quite urgently, I was told initially it would normally take about a week but they would try to get it done before the weekend to accommodate my request. Well they managed it, thank you so much, I am very grateful. Great service and great quality product." "Excellent products, very well packaged, and excellent customer service and delivery. Worked hard to make sure delivery happened as needed. Would definitely buy from and recommend this company. Thank you"
"Had never heard of this company before sorry and wanted a mirror with awkward measurements. Found exactly what I wanted with this company. Great Service"
"Great mirror and very professional service. Had to phone to discuss, as I wanted a heat pad to fit to the back of the mirror. Very helpful staff who arranged for the pad to be fitted before being sent out. Arrived within the time given and all looks perfect. Just need to hang and connect heat pad. Could have done with a little more notice of the actual delivery 24hrs, but other than that, very impressed." "Love the mirror we have purchased from Mirrorworld. 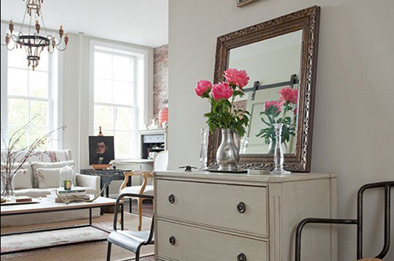 It brightens up the whole room, I love that it has no frame so light and beautiful." "First class service, first class product. I would buy again from mirrorworld." "Just wanted to say we received the mirror and are VERY happy with it, its perfect. Thank you so much. I will certainly be recommending you." "Thank you for the safe delivery of my mirror. It arrived this morning, intact and well packed. It is now securely fixed to my wardrobe door. You are highly recommended and I will surely recommend you to any one I know when they become in need of a mirror. I am extremely pleased. Many thanks again." "Delighted with my mirror and speedy delivery. Will definitely use it again in the future." "This mirror that i had made is fabulous, so well made with the frame of my choice. Would not hesitate to order from Mirrorworld again and recommend to all my friends and family. Brilliant company to deal with." "Excellent service and personal timed delivery. Very impressive"
"Thank you Mirrorworld, my mirror arrived really well packed and is just what I was looking for. I emailed you with a query prior to purchase and received an immediate informative reply. Would highly recommend your company and will soon be placing another order with you, thank you." "Ordered two round acrylic mirrors to repair a shaving mirror. Arrived promptly and were cut accurately to size with nice smooth edges." "Received my mirror today thank you and am extremely pleased with my purchase and am looking to place a further order with you very soon." "I only made an online order this morning and have just received an email to say that my new mirror will be delivered tomorrow! Having recently had a very disappointing experience ordering a mirror from one of your competitors, I can't tell you how impressed I am with your service, especially at this very busy time of year. I am so looking forward to receiving the mirror and I know it's going to look perfect in our home. I will definitely be buying from you again! Thank you very much indeed." "Thanks for speedy dispatch of my mirror, arrived a couple of days before expected and is now installed where required. Great service from you, I know who to recommend if I am asked." "I cannot praise Mirrorworld enough as I am thrilled with my large bespoke mirror, and it was such a pleasure dealing with them. Right at the start, Gareth in sales was wonderful. I am a 73 year old with no previous on-line shopping experience , but he was so helpful, kind and patient. Thank you Mirrorworld, I just wish I needed more mirrors." "Quick response, arrived within days, well packaged and product was as specified. " "I ordered a bespoke mirror as I could not find the size I wanted. The online design software was excellent and easy to use. Great communication at the outset about terms, waiting time, delivery and what to expect. Mirror delivered well packaged by a cheerful, friendly delivery person. Very pleased with the product, which is excellent quality and just as I expected. I would most definitely shop with Mirrorworld again and would have no hesitation in recommending them. Thanks guys." "I have today received safe delivery of my mirror and am delighted with it. " "Very happy with my recent purchase from Mirrorworld. Delivery driver very nice, friendly, and helpful." "This is a brilliant site I have more to do"
"Excellent communication, quality and on-time delivery. Great to do business with"
"800 x 800 mm Mirror with 4 holes with 4 fixingsThe above mirror and the 4 piece fixing pack arrived safely last Friday, 29 June. The mirror is exactly as specified and appears to be in good condition.Thank you very much for your very efficient service." "This is not a question but to say a very big thank you for the mirror we ordered a few days ago. The size required was not a stock item and you offered to make one to our specification. Our order arrived today, 3 days after placing the order. The mirror is perfect, already hanging in our hall and we are delighted with the quality . We will have no hesitation in recommending Mirrorworld to our friends. Thank you again." "A note to say - the mirror i ordered was absolutely perfect. Colour, shape and size exactly right. Wouldn't have any hesitation in recommending your company. Delivery was good and instructions as to placement etc.also perfect. Thank you." "Outstanding service from beginning to end." "Excellent service and very helpful "
"Just wanted to say the mirror arrived safely and it looks great. Many thanks for being so helpful with our order and flexible on the delivery. Much appreciated. A very happy customer"
"Many Thanks, my order arrived today and is perfect, some of the best mirror packaging I have seen and well labeled too." "My mirror arrived this afternoon in perfect condition thank you and quality item it is too. Flat with no distortion and packaged well." "Ordered acrylic mirror for my disabled father koi pond to enable him to see the fish whilst sat in the house. Product as described and works well. Good company to do business with"
"My order was processed within a day of return from the Christmas break and delivery was within the time specified. The mirror is very well made and exactly what I expected. " "Hi I received my order yesterday and I am delighted with it. Thank you"
"Delivered in perfect condition and already put upThanks for a great service"
"Our mirror arrived today and it is absolutely perfect. Thank you so much for a brilliant service. We wouldn't hesitate to use you again.Merry Christmas to you and the team"
"Great quality, very well packed. will use again"
"Excellent, prompt service. Bespoke mirror was exact size requested and of good quality." "Many thanks for the replacement mirror, it arrived very quickly and completely intact Your excellent customer service has been very much appreciated. " "Outstanding service. Received today - Perfect, amazing quality no distortion.Many thanks will credit you in the building of my project when it's complete." "Just a big Thank You for all of your support, advice and patience.I shall certainly be using you again in the future and have already recommended you to friends and family." "I Ordered a bespoke 2m mirror and I couldn't be happier with it.It's beautiful and looks fantastic.Great service and customer service actually delivered before expected." "Quicker than expected delivery, quality mirror, well packaged "
"I am very pleased with my mirror. It is well made and was delivered in a great deal of protective packaging. It arrived promptly and looks lovely over the mantlepiece, reflecting a very small sitting room to create an effect of spaciousness." "I received the mirror yesterday. It is amazing, thank-you very much for interpreting my drawing and requirements.I will be coming back to you again for all my mirrors in the future.I will send you a photo of the finished dressing table in due course." "Lovely mirror. Excellent service. Highly recommended. " "Made to measure mirror for an awkward space - perfect result, thanks Service and delivery as promised." "I received my mirror last week and was able to hang it successfully today. I just want to send my sincere thanks for a wonderful service and a beautiful product, which is exactly what I was looking for. As a company, you have been a pleasure to deal with and I wish you every success." "Large made to measure mirror was just what we needed. Excellent fixings provided as well. Good service"
"Just to thank you for an amazing service. Mirror arrived yesterday via TNT, so I was a little concerned, but it was wrapped so well, no damage occurred. Really pleased." "Thanks very much great service." "Who is the fairest of them all MIRRORWORLDWe were looking for a special mirror for a bedroom we were completely revamping, to be used as a guest room. The size and style were important but most of all, the colour co-ordination was paramount. You can get a good idea from photos on web sites but can never be entirely sure until you see it for real. Well - the mirror is absolutely perfect in every respect described above and is also of very high quality. Service from Mirrorworld was excellent throughout from ordering to delivery and they very professionally handled my subsequent phone enquiry. And of course the price exceptionally good value for money. " "I got the mirror up. My handyman with 2 extra helpers. They said although obviously very large and heavy it was straightforward as the fixings were really good.I am thrilled with it is as it's now possible to see the landing chandalier in the reflection when entering the front door. The reflection of light into the lower hallway is an added bonus.Best regards and many thanks for all your help on this. Great job and I'm relieved to have it up intact." "First class mirrors and service. Mirrors size requested spot on. Would whole heartedly recommend this company." "Got the mirror finally up today and looks great will write a review but wanted to send you a personal thank you will def order again." "square mirror so hard to find so the bespoke mirror I needed fits the alcove perfectly and sales team were so helpful in making sure I had the measurements correct.....could not fault service provided, a big thank you"
"Really pleased with our new mirror. It looks fantastic, didn't take too long to be delivered, and was packaged so well when it did arrive." "You've got a new review. Lydia Hulme gave Mirrorworld 5 stars.brilliant experience with mirrorworldbrilliant experience with mirrorworld, I wanted an overmantle mirror and phoned to ask for some advice ones i had seen online. The guy on the phone was really helpful, the mirror arrived the next day, and it was really well packed! I love it, it's really brightened up my lounge "
"Good all round serviceEasy to order, kept in touch when delivering, not expensive. Good all round service." "Excellent product and service. I am highly delighted with my mirror. It was extremely well packaged and arrived very quickly. Highly recommended and I have already recommended them." "The mirror is lovely and your service excellent thankyou "
"Hi,Just to let you know the mirror turned up today and looked great. I have attached a photo showing it in situ which I thought you might like to see.Many thanks,"
"Quality 6mm mirror with polished edges.Quality 6mm mirror was delivered in a couple of weeks. Well packed and excellent quality. Mirrorworld answered preorder questions promptly and supplied the adhesive for fixing"
"Exactly what we wanted, and at a very fair price. Delivered in less time than the estimate. Good workmanship." "Great serviceGreat service, excellent product. A gift for my father in law, who is very pleased. Easy to install despite the size. Would definitely recommend." "Beautifully made custom mirrorBeautifully made custom mirror. Quick delivery. Well packaged. Would highly recommend Mirror World." "Loved The mirrorThe mirror I purchased from this site came well packaged and really quick considering it was ordered over a bank holiday . The mirror was excellent quality and well worth the price I paid for it. I would definately purchase from them again and highly recommend this company." "Received my bespoke mirror today. It’s on the wall and looks fantastic." "Just received the tv mirror, the quality is amazing I will definitely be recommending you to friends and family." "Very helpfulVery helpful, all as expected and the mirror is terrific"
"Really impressed by the customer service so far thank you." "Saw the mirror on their page but it was a little out of my price range. Searched and searched but kept coming back to this one. Decided to make the purchase. I was not disappointed. It was worth the money and the wait. Beautifully made and looks wonderful in my newly decorated hallway"
"HiJust took delivery of my mirror today and wanted to say how impressed I amIt's stunning and so beautifully made. Well worth the wait and worth the money paidI'm very pleased with my purchase Thank you "
"Hi- Arrived Perfect. Thank You. and Thank You for the reassuring emails "
"I am hoping you can locate this from my email address because I don't have the order number. However, some weeks ago I ordered a custom made large mirror from Mirrorworld, using online system. You had to contact me as the frame I had ordered was discontinued and you suggested alternatives. As there has been no further customer satisfaction survey (and lets face it EVERYONE wants them!) I thought I would drop a note to say we are delighted with the mirror, it's on the wall now, and it's very striking. I had been searching for a long time for this so I am very pleased with the outcomeThe whole process of purchase from Mirrorworld was efficient and very straightforward. I was kept informed of progress and delivery was speedy and professional I would certainly recommend Mirrorworld to anyone who is looking for this type of purchaseMany thanks again for excellent customer service"
"The mirror has arrived safely and is great. " "So impressed by the quality of the mirrors, the speed of delivery and the gentleman at customer services on the phone." "Hello Mirrorworld,I received delivery of the products stated below and am more than satisfied with the mirrors"
"Thank you for the mirror, it is perfect." "Grandson's birthday was on Saturday and I just wanted to let you know he was delighted with the mirror. Thank you for your help with this. " "Mirror up with no issues, great service"
"Thank you for the successful delivery.My wife and I are extremely pleased with our mirror, just I'm time for Christmas.Would definitely recommend you.Best wishes and merry Christmas"
"PerfectService was excellent, the mirrors absolutely perfect. Exact size, simple secure fixing, well-made. No improvement required"
"Excellent friendly serviceVery quick delivery. Always kept informed of progress. Very friendly. Product was exactly as described. More than happy to use them again and recommend them to others"
"Excellent products, price and service. I would have no hesitation in using them again"
"Can I also say just how brilliant the customer service from Gareth is both at the point when I rang to order the mirror and also this evening giving such a positive response regarding the possible changes to the mirror. He was easy to talk to and really supportive. He put my mind at rest after a lot of worry. He really is a massive asset to your company. Grateful if you could pass this plaudit to anyone that might give him a well done"
"Easy transactionI ordered online and my made to measure mirror was with me in around 2 weeks. Delivered to my door and well packaged. I'm really pleased with the product and service." "First rateCouldn't find the style of mirror in the size we wanted so Mirrorworld's bespoke service was perfect. Reasonably priced and good turn around together with excellent delivery process. Thank you"
"The mirror arrived earlier than I expected and I am delighted with it. Congratulations on the care taken with the packaging to ensure its safe arrival. Well done"
"I am very impressed with the high level of contact I have received from the firm. " "You done well, so well that I am going to place another order very soon." "Thanks a lot. You have a great customer service Thanks"
"Fantastic customer serviceI called mirrorworld and the gentleman I spoke to went above and beyond to ensure that I got the exact spec I wanted. The man who delivered the mirror stayed to check that it was perfect and showed real pride in being employed by Mirrorworld. The mirror itself is fantastic quality." "Many thanks for all your help, great service"
"Just wanted to let you know that our new mirror was delivered on Friday. All in situ now and looks great. Thank You very much for sorting this out so promptly. We're a nation that always seem to complain, but never praise when it's needed! And having worked for in customer service for many, many years, thanks is rarely given...Have a most excellent week!" "Thanks so much for all your help with ordering my mirror, we are so pleased with it, it looks a beautiful job and we will definitely recommend you and probably use you again ourselves." "May we take this opportunity to also thank you for your excellent service and to say how much we love our new mirror, it's fantastic. Your very satisfied customers. " "I am decorating a new home, and the deliveryman who delivered my huge mirror was just superb and so different to many others I am encountering.Firstly, he stayed in contact with me through the day regards his schedule.It was a boiling hot day, he didn't moan or complain - I didn't have to ask him to do anything. He simply used his brain, got the huge mirror into my home, got all the wrapping off, put it in the correct position with no fuss.It was simply a delightful experience and I was thrilled to have dealt with him. I think he's a huge credit to your company and I would like it acknowledged by your superiors." "I just wanted to let you know we took delivery of the mirror last week and are absolutely delighted with it. What a great service your company provides and we won't hesitate to use you again and to recommend to friends and family." "ExcellentMinor problem with the order but was dealt with very quickly, and efficiently, excellent product and service." "A1 QualityFirst Rate Workmanship, Mitre corners even and close fitting, no expense spared on packaging, mirror delivered blemish free within two weeks of ordering. Excellent service would recommend and use again." "I searched everywhere for the right sized mirrors for our bathroom but couldnt find the exact size I needed in the style we liked. Resorted to having them made to measure, so pleased we did. Much better value than expected and got the perfect frame. Very happy"
"I wanted to say thanks very much for the mirror on the below job; it looks fabulous and was cut perfectly!! " "Many thanks, sample received. Great to see sample boxed, they normally arrive with all the envelope torn and poking out where they go through the Royal Mail process. Well worth paying the 4.95. Very happy with the frame and will be placing an order shortly." "My mirror was very good quality and well packaged. It came within 3 days and was good value for money. " "I embarked on a small DIY project, a magic mirror, a Raspberry PI with a 2 way mirror hiding a computer screen. So on Sunday afternoon I sent an email with my specific requirements to the customer services, deeper frame, specific size for the acrylic. To my astonishment, on Sunday evening I got a reply from Andrew, by Thursday the custom frame and mirror was delivered. Professional and proactive service, great experience. Thanks." "Just wanted to thank you for your help, the mirror was delivered today and it is stunning." "I just thought I would let you know that my order has just arrived and I couldn't be more pleased the delivery service was excellent and the mirror is beautiful.Thank you so much." "I received my mirror and am delighted. I am so glad I found you at Mirrorworld. Thank you Great doing business with you." "Thank you so so much Mirror WorldMy mirror arrived yesterday and it is exactly what I was looking for. It simply looks superb. I won't be ordering from anyone else in the future. From the moment I called, customer service, the delivery, and quality of the mirror has been excellent.You really do deliver a great product and I honestly can't tell you how happy my mirror makes me." "Thank you for your excellent service.The mirror arrived in good order today as promised." "We are delighted with the two way mirror window, as you said, it works a treat. We’re getting our decorators in to make good, and then we are there, but the sound light aspect is working very well. I am so pleased I found you guys, a great service all around." "Thank you so much for the efficient and prompt service. Beveled mirror perfect and arriving next day after telephone order was brilliant. Will recommend.Happy customer"
"My order arrived very well packaged and all intact it looks perfect in the bathroom.Thank you very much, I am very pleased with your service and product." "Thank you. I very much appreciate your prompt and efficient customer service . A joy in this day and age"
"Mirror arrived today. Everything perfect.Thank you for excellent customer service throughout, despite initial problem you have kept me up-to-date and delivered the goods"
"Many thanks for the mirror great product and service." "Excellent product which was delivered safely and on time. Customer services proved to be extremely good and efficient. " "I give Mirrorworld full marks for the service,handling and delivery for the lovely mirror I ordered on line. I would fully recommend them"
"Absolutely delighted with tiles. First class delivery service could not be bettered. Would most certainly deal again." "Hi all. Many thanks to all of you who got involved in sorting out my requirements. Most helpful people I have felt with for a long time. Communication, service, postage every thing spot on. Both my wife and myself are well pleased with everything. A credit to the business. Again many thanks. Take care"
"Thanks for everything - the mirror was perfect and is now hanging as part of an installation in an art gallery! " "My wife and I would like to thank you immensely for all your attention to our our bespoke mirror. The replacement arrived today, delivered by your most courteous and helpful driver, who could not have done more to satisfy us, by unwrapping and examining the mirror for any possible blemishes of course there were none. As you can see the mirror is now mounted on the wall in its pride of place and is the talking point of all who visited us today.It is fantastic to find that the words service and satisfaction still exist and we cannot thank you all enough for your efforts in making us both happy rest assured that you have done that." "Good all roundUnable to find the size of mirror I wanted - not an especially 'odd size', just no one seemed to supply them in 'that' size, larger or small yes, but not 'that size' Mirrorworld had the answer. O.k. it was a bit more expensive than 'of the shelf standard'. I also 'tweaked' the size a bit from my original search, to make it an even better fit. Delivery time was excellent for a 'made to measure' product. EXTREMELY well packaged. Product itself is also excellent. Mounted with adhesive supplied, and result is extremely pleasing. Doubtful I could have achieved it without Mirrorworld." "A nice quality mirrorI ordered my mirror via the phone, I gave the measurements and specifications that I wanted to a very polite and helpful lady, paid by visa debit and around 10 days later my bespoke mirror arrived, it really was that simple. If I ever need a bespoke mirror again this company will be my benchmark." "Really impressed with the service, delivery speed, packaging and quality of mirror! Just how online buying should be." "The online shop was easy to navigate and it was easy to place the order.the items arrived quickly and were well packaged." "it was easy and straightforward to order, and the company were responsive to queries. No-fuss delivery of extremely well-packed mirror puts a lot of other companies shipping less-fragile items to shame. Mirror not yet fitted but looks good." "Just thought I`d let you know that we finally got the mirror hung yesterday - needed some strong help to lift it - and here are some pics of how it looks. I am delighted." "Just wanted to take a moment to say how much i love my mirror. " "Dear Mirrorworld,Mirror received on time and exceptionally well packed. Even though this must have been a small order for you I was very impressed by the quality of the product and care taken." "Just to let you know that the mirror has arrived and looks great ! !Thanks for your help"
"My order arrived this morning. Many thanks for an excellent service and product.May I wish you and all your staff a Wonderful Christmas and a Happy and Healthy New Year"
"I'd just like to say thank you for the wonderful bespoke mirror we received yesterday. Having carefully measured it to fit a recess, I was nervous reading your T and C's that the normal tolerance would mean that the mirror might still arrive too big to fit it. However, I took the advice of one of your customer service ladies and wrote a detailed note saying the the mirror was for a recess and stating the absolute maximum measurements that it could be. crossed my fingers and waited. I needn't have worried! It arrived today and fits the recess perfectly. And we installed it within 2 hours of arrival Wonderful service.Thank youSusan Owen"
"Just a quick email to say I LOVE my new mirror from Mirror World thank you.I wanted it bizarrely to fit behind my cooker so having it made to measure was perfect I'm so pleased I got the measurements right too. Anyway here is a picture in situ I think it looks fab.Thanks again and I will certainly be recommending you to my friends. " "we have had two mirrors from you and are very pleased with both. They were for our newly decorated sitting room and are just right, looking very impressive in the setting.with best wishes." "We got our delivery today - thank you.The mirror is beautiful." "The mirror looks sensational, will definitely be recommending you to all and sundry." "I have received my order and would like to say that everything is in perfect order. Many thanks,I shall recommend you." "Many thanks The mirror was packed beautifully and looks great !" "Just wanted to say thank you for the huge mirror I ordered. It's a good job it was well wrapped up in bubble wrap. We hung the mirror in the bathroom today and it looks fantastic. I wouldn't hesitate to order from you again and would highly recommend you to friends as I think my mirror was good value for money. " "HiI must say I am very impressed with your service, my mirror arrived today quite unexpectedly. Very well packaged and in first class condition." "Thanks for your help and great customer service"
"The frame looked fantastic. Thank you for all yourhelp"
"Can you please pass on our thanks to your team on a great product and service offered by mirror world. " "Product as described, delivery as promised, very happy thanks"
"I have received the mirror, looks splendid"
"Just received the mirror, it looks brilliant, thank you." "We have received the mirror and it is now proudly hung up. Looks so good "
"Excellent!such prompt service and happy with the mirror. Thank you for your efficiency." "Great mirror with double demister pads doubles the size of the roomFantastic job mirror world." "Have received the mirror and I am very pleased with it." "I must say, I am pleased to deal with a company with such a positive approach to customer service this is a rare thing these days and you are to be congratulated. " "Dear MirrorworldMirror delivered today and installed by myself. Very good service including packing first class thank you." "Thank you for your excellent customer service. A rare thing." "Your delivery was prompt. within the first part of your “window”, and the goods were very well packed.SO in all I am a very satisfied customer." "Excellent service - mirror sent swiftly and was as shown on site. Highly delighted from start to finish." "I have fixed the mirror and am very pleased with the result.Thank you for your first class service"
"Lovely and refreshing customer service!" "I have just received the mirror and its beautiful. Thank you for your co-operation. I am so glad I chose this pattern as it really looks much better than the one I had and catches the light and is very impressive. We recommend your company to others in the way you have dealt with my order. Thank you again. Very happy." "I asked you several questions ref a large bathroom mirror for my wall. You were very helpful and informative when I knew very little about it.I have now purchased a large mirror, from you on your guidelines and stuck it to my wall and it is very successful.Many thanks for your patience and help." "Excellent value for money. Highly recommend this firm." "Hello, Just to say thankyou for the AC008 Mirror.The mirror is great." "I ordered a mirror from you just before Xmas and I received it the next day.I just wanted to tell you that I am absolutely delighted with my mirror and it looks stunning.Thank you for your efficiency"
"If you need a made to measure mirror then these guys are ones to trust. My first experience and by accident I ended up not paying online but got a call the very next morning from a lovely lady who confirmed the order and left me feeling happy with the company. They delivered within the timescale promised and the delivery people called me the day before and on the ay to confirm their arrival. Because I wasn't there in person (my wife took the delivery) he also had the courtesy to call me to confirm that all had gone well. Customer service levels only previously experienced at Apple Stores....well done Mirrorworld "
"Mirrors fit a treat, customer very happy." "We are both pleased with the new mirrors and have put them up in the newly decorated bedrooms"
"We are truly delighted with our recent orders for two large mirrors." "Many thanks for the mirror. I'm absolutely delighted. Very quick delivery wasn't expecting it for 2/3 weeks so overjoyed. It will look lovely in my new bathroom." "The frame looked fantastic. Thank you for all your help!" "Thanks very much for all your assistance with this and hard work - I know we have messed around a little! I can confirm that the order was delivered safely to the client." "Hi Received the mirror this morningbang on." " I have received my mirror & am very impressed with it. " "Thank you so much for my beautiful mirror, I love it. Thanks again." "I was able to clean my mirrors today and put the furniture back in place and i must say the mirrors look absolutely fabulous. They really give the wow factor to the room, they have transformed it! !Everyone thats seen them thinks they look great. Thanks for all your help.ps. My sister is now looking at her place to see where she can have some mirrors fitted!" "Hi,Received my order this morning in good condition!Thank you very much. RegardsAlex"
"Beautiful Mirror,superb value for money - excellent packing and delivered on time.will buy again very soon!" "Hi, Just to say thanks for mirror and excellent communication. Many thanks "
"The mirror arrived on the date we requested and it turns out very nice. Thank you for always being so helpful." "The mirror arrived today. It's very good. Many thanks." "I just like to say I received my mirror not so long ago and extremely happy with it. Just what I wanted. And what I imagined would work on my wall perfectly, has just done that. And has finished of my living room perfectly.Thank you for an efficient service, where my mirror was packed so well it would arrive safely." "The mirror arrived right on time and so well packed. We are both delighted with it and is in a pride of place.Thank you for your prompt response." "I recently ordered a large mirror from you and I have to say I am really impressed by the high quality of the item and fast and efficient delivery. I have seen mirrors of this quality in the shops and they have always been more than double the price. You company is excellent; thank you very much. I don’t often get to give good feedback because I’m a bit of a moaner and am not easily satisfied so even more credit to you!Kind regardsA very satisfied customer"
"We received the frame this morning and it looks great!Thank you ever so much for doing that for us, sorry to have changed the time frame about.Thanks again,Rebecca"
"Good afternoonMany thanks for sending the requested fixings so quickly. " "I would like to say how refreshing it is to find a company with such a great attitude towards its customers. It goes without saying that I will not hesitate to recommend you to my friends in the future.Once again thank you and keep up your excellent standards." "I do like your site and have to commend you also on the packaging of the mirror - it was first class and far better than many other sites selling mirrors." "An impressive service!Prompt reply to an initial request for information re fixings etc,confirmation of probable delivery date and extremely adequate protection to the finished mirror.Thanks to all involved! " "I would just like to say how utterly delighted I was with the service I have received. I ordered my mirror, it was delivered a couple of days later and was packed to ensure there was no chance of damage. Thank you for the great product, price and service." "Mirror delivered as schedule. Very pleased with the finish. Thanks for a very impressive service. " "Hi, I just wanted to say thank you for the superb service I received from your staff. I particularly appreciated the phone call after I had ordered to check dimensions and style. Your member of staff was extremely helpful in answering my questions. Our mirror arrived without incident and looks lovely in our hall. We could not have asked for more. Thank you once again." "I have just received my mirror. And am absolutely delighted. Many thanks "
"Thank you so much for your professional and fast work.My mirror arrived the next day of the order, it looks very pretty on our wall." "Amazing service - Mirror arrived this morning at my business address !!" "Just wanted to take the time to say thank you. Your website was easy to use and informative. The purchasing procedure was hassle free. I have received emails advising me of each stage of the order process. My goods have arrived quickly and well packed. Above all I feel as though I have received good value for money.Thank you for a very positive customer experience." "Thank you very much – Mirror arrived delivered by TNT as promised this am – Thanks for a Company that does as it says – very rare these days to get such good service. " "Hi just to let you know, mirrors have arrived.....Well wrapped and packed lolJust not opened yet,Thanks again for all your help "
"The mirror arrived safe and sound. In perfect condition thanks to the large amounts of bubble wrap and cardboard around it. It is exactly what I wanted. It is sometimes difficult to see what things are really like from pictures on a screen but the mirror was exactly as described. Very pleased. Thank you"
"The mirror arrived today in mint condition." "Just received mirror. Perfect , very efficient thanks a lot..."
"just to let you know that the mirrors were delivered safely this morning.Many thanks again for making and delivering in such a short space of time. It's much appreciated by all here at the gallery." "Thank you, the mirror arrived safely and is on the wall, looking great, thank you for all the trouble you took to find it for me." "Hi therethanks for the delivery of the mirror - very impressed with it"
"Many thanks for your excellent service and product - the mirror is up on the wall and looks superb. " "Thank you for sending the remaining part of my order so promptly. The mirror tiles are great. " "I am pleased to say the mirror is perfect, and I thank you very much for your kind attention to this order. " "Received well packed mirror (MIRMD006) today and very pleased with your product." "All,The apartments were successfully launched on Thursday afternoon. Over 350 people passed through the gates and 5 of the 11 units we launched were reserved. No doubt the rest will follow in quick succession.Everyone viewing the building and the units, customers and staff were incredibly positive.It was a tremendous effort put in by all supervisors and operatives. I know this block was not as straight forward as most due to the nature of the refurbishment and I thank you for sticking with it and producing such a brilliant product. As always we are only as good as our subcontractors, that says a lot for you guys! We just need to get core 2 up to the same standard over the next couple of weeks.Please do pass on our appreciation to the operatives involvedThanks to all!!" "Just received mirror for above order. Everything ok! Thanks for your fast response,your service is excellent!! " "The delivery was very efficient thank you.We are pleased with the mirrors." "Just to let you know that my mirror arrived exactly when you said. It is up in my bathroom and looking beautiful.Thank you for an effortless order and delivery"
"Just received the mirror that I ordered arrived in perfect condition.Very satisifed with it, would recommend Mirror World to anyone. " "Delivered safe due to excellent packaging and looks fantastic in newly decorated room!" "The packaging was to a very high standard.You should be congratulated for first class customer service.Thank you." "Thank you very much, for such prompt service." "Just wanted to say a big thank you for arranging delivery of the mirrors last week which was earlier than scheduled !Work at the Gym was completed over the weekend - mirrors are up - they look superb - and today it re-opened ! If we need some more (there is another wall that would look good mirrored) we'll be in touch.Many thanks once again "
"Thank you, received the mirror as promised last week.It is great." "Hello, I just arrived home last night and picked up my mirror that your driver dropped off last Thursday - Delighted with service and mirror, which I installed this morning...looking good. Thankyou "
"May I also take this opportunity to congratulate Mirrorworld on your very wide range of mirrors and the excellent service that you provide. We will definitely use your company for our future mirror requirements." "Dear Sirs, I have received yesterday the mirror I ordered, and I must say I am extremely pleased with it. It looks even better I thought it would and it will be perfect for our mantelpiece. I bought a mirror from you in the past and was very pleased and this confirm my excellent opinion of your company. I will not hesitate to recommend you to alll my friends. Thank you again. " "Dear Sirs, Many thanks for your recent delivery which we have now installed and are very pleased with the result." "Dear Mirror WorldThank you so much for sending me my replacement mirror. It was really well wrapped and I received it in perfect condition. Once again thank you for your customer service to me." "Just to say many thanks for the prompt way you handled our recent purchase,and the mirror is superb and admired by all who have seen it,thank you once again." "Thank you for your excellent service. My mirror arrived today, it is on the wall already and looks great. I will have no hesitating in recommending you to family and friends and ordering again in the future." "Thanks for such good service. If anyone I know wants mirrors I will highly recommend you. " "We are writing to say thank you for the mirror you supplied and must congratulate you on your prompt and efficient service. We are really pleased with the quality and thank you all most sincerely." "My mirror has arrived and we are delighted with it,thank you very much." "Just to let you know that the mirror arrived on Saturday morning and thankfully was in one piece this time. It looks fantastic ! Thank you very much for your help with this order we appreciate everything you have done "
"Extracts from email received: Congratulations. The mirror will now become the centrepiece of our lounge and displayed with pride.I'd like to thank you for your excellent customer service very impressed. " "Dear Sirs, Just a quick note to say my mirror arrived safely this afternoon and I have to say it is exactly what I wanted and is already in place on my bedroom wall. Thank you very much for the good service and a very satisfactory job. " "Love my mirror it looks just as I thought, well worth the wait." "Fantastic am very very pleased with the mirrors "
"I forgot to get in touch with you to let you know how thrilled I was and still am with the mirror. It is really fab and looks great above the fireplace. I actually measured it right so it fits perfectly"
"Thank youThe mirror has arrived it fits in the aperture perfectly and I will certainly specify you again as I am very impressed." "HelloI received my mirror yesterday as promised and I am absolutely delighted with my purchase! The mirror is absolutely spectacular!Unfortunately, the photo on the website doesnt do it justice.Thank you so much." "Thank you for delivering the mirror which arrived this morning. I must say that it was exceptionally well packaged, the best on any goods I have received. " "Staff at MirrorworldMy mirror arrived Friday .I am delighted with it - now on my hall wall looking splendid . Thank you for keeping me informed of delivery time and date.Best Wishes"
"Dear mirror world,My mirror arrived yesterday and I just wanted to tell you how beautiful it is and what wonderful service I received! I will recommended you to everyone!" "Thank you for the delivery of the mirror which was exceedingly well wrapped and in perfect condition.The mirror was just as described and I am very satisfied with my purchase. Thank you"
"My mirror has just arrived and I am so pleased with it. Thank you so much for dealing with my order so promptly and particularly for sorting out the error and putting it right. Mistakes do happen but what a difference it makes when things are handled in such a good way. Thank you once again for your much appreciated service and I would definitely recommend your company to friends & family." "Hello, Just to let you know that the mirror arrived a few days ago. It is now in place, and we are delighted with our purchase.Thank you"
"Mirror has arrived and is absolutely faboulous. Thank you very much"
"Thank you for such a good service. Mirrors have just been delivered (21/12/11). They are very beautiful too. I am very pleased with them.Best RegardsJasmine"
"I appreciate your consideration and attention; My mirror has arrived in good order and condition." "Thank you so much for your help just in the nick of time. Your sales team have sorted out sending it out on Saturday delivery so we can get it tomorrow as my daughter who its for is only here for 2 days. I am extremely grateful for all your efforts and tolerance of my e-mails." "Mirror arrived earlier today. Looks nice and all in one piece! Thanks"
"Dear Mirrorworld,Our mirror arrived today, it was so well packed. It is lovely. Thank you very much. Great Service, great mirror." "Thankyou for your efforts in delivering the large mirror we had ordered in time for our party,it has now worked out all ok after a sressful couple of weeks arranging things with the flu. Thankyou again and its a beautiful mirror." "This is just to say that the mirror I ordered arrived safely and is absolutely lovely and just what we wanted. " "Hi Mirrorworld,Received my mirrors, they all look beautiful and really well wrapped. Thanks for your excellent customer service." "Thanks for your letter confirming the arrangements for delivery of our mirrors to an alternative address. This seems a very good system wish other companies were as organised!" "Hello,Received my delivery. Very prompt thank you"
"I received the mirror yesterday and it's really nice. Thanks so much for all your help. " "Just wanted to say 'Thank you'. Our mirror arrived this morning. Very well packed! And looks lovely. " "Mirrors have arrived.First class - thank you very much. " "What a beautiful Mirror, please pass on my thanks to the person who made my art deco mirror." "Hi there,I wanted to say thank you for such fantastic service from your company. I ordered my mirror only two days ago and already it has arrived. Your emails confirming delivery schedules were spot on and the mirror was extremely well packaged! I am most impressed and wouldn't hesitate to use your services again or indeed recommend you to others. Thanks again and kindest regards"
"Congratulations on your excellent service I would have no hesitation in recommending Mirrorworld . " "Hi Just to confirm I received my order this morning, can I take this opportunity to congratulate you on your customer service. The mirror arrived in one piece thanks to your excellent packaging. It makes a refreshing change to find a company that really does care about the customer with a great well priced product, fast and safe delivery and faultless communication." "Mirror arrived perfect this morning we have fitted it looks great and more importantlycustomer has paid us for the refurb ! Thanks"
"Just to let you know that the replacement mirror arrived safely this morning. Many thanks to you and all at customer services for a speedy response to the problem. Nice to deal with a customer services department that lives up to its name. " "Mirror arrived today - delighted . Thank you"
"Hi Helen,Just wanted to inform you my mirror has just been delivered - very pleased - perfect in every detail.Thank you! " "Hi Just wanted to say mirror arrived safely and is fantastic, I am so thrilled with it and have already recommended you to friends and work colleagues." "I am now very happy with the mirrors and the excellent service and I will defiantly be writing on mirror world website about the excellent and helpful service." "This is one very pleased customer thanks again." "Thankyou for a beautful mirror and quick delivery. We are pleased with the size of the mirror and it looks great with our decor." "Dear mirrorworld,thank you for my beautiful mirror which arrived today packed to perfection.Should I be able to recommend you further I would not hesitate to do so." "Thanks for all your help, it's been a pleasure dealing with you and we know where to come for our next mirror." "Helen the mirrors arrived today and they're perfect. Please make sure I'm on the list for another one when the next order comes in"
"The replacement mirror arrived today, undamaged. Thank you for your efficient and speedy outcome to the problem. " "Just to say a huge thank you for delivering back in record time.We are VERY pleased with the mirror and your service. (Also the Chief exec commented on how good it looks - so that's all thanks to you)"
"Thank you so much for my mirror which was delivered today by a very nice man- it is fantastic and I am very,very pleased with it!!" "Mirror arrived in good condition today. Very pleased with the product and your service.Many thanks. " "It was great to meet you and the mirrorworld team last week. We are back in France and we have a selection of mirrors on the wall and i must say they look good, hopefully our customers will think so too! " "Hi, I'd just like to thank you for the great service you have provided. I'm really happy with my mirror, it looks great. Thanks again." "Just wanted you to know we are absolutely delighted with the mirror. Thank you so much for doing a great job. Excellent service all round - even your delivery driver was a lovely chap!" "Thanks very much for bringing the mirror on Wednesday. It arrived in good condition and I got it hung yesterday. I am very pleased with it." "Mirror arrived today in one piece very pleased with it.Thank you very much ." "Many thanks for the speedy response; I really appreciate it and will certainly recommend your service to others. " "Hi Yes they arrived yesterday morning. They look great ! " "Many thanks for your company's swift service.The frames arrived last Monday 24th.I would have acknowledged sooner, but mye-mail server has undergone some problemsthis week!" "My order was taken by a polite and courteous young man and I appreciate good service, so please thank him. " "Many thanks it has arrived. That is what I call service!Kind regardsDavid Wright"
"Just a short note to say that the replacement mirror arrived yesterday afternoon and is perfect. I would take this opportunity to complement Mirrorworld on all aspects of your excellent service. Despatch and delivery is very rapid and your after sales service second to none. Once again, many thanks for your excellent service and I hope you all at Mirrirworld have a excellent Xmas and New Year. Regards Barry"
"Dear Customer service,Mirrors received on Friday the 3rd December despite weather conditions all received in good order. Thank you for leaving in the porch and not taking away that is much appreciated.All the very best and will be in touch in the new year for another mirror for the loungeRegards and a Merry ChristmasMike Dale"
"Just a belated and very big thank you. The mirror is excellent both in design and manufacture. Its such a pleasant change to find a very professional and reliable UK company. Thank you for your very professional attitude as well. PS. It would be good if you could forward this message to your Chief Executive as I am sure that he would welcome some customer feed back. Kind regards Peter Lake." "Thank you, and they say customer service is dead in this day and age not in your case Regards Nathan"
"Thanks for the delivery of my new mirror. Always difficuilt to buy off the internet but Excellent service. Bought just three days ago and it arrived this morning. Great packing and fast delivery and mirror is fab! Why cant all companies do this. Thanks once again." "Hi received mirror today already on wall above fireplace looks great thank you"
"I just wanted to say how impressed I have been with the service you have offered. My issue has been resolved entirely to my satisfaction and the communication has always been prompt and clear which has made the problem easier. So thank you!" "Thanks for all your help especially Helen who has been patient and professional the mirror is now on the wall and looks great." "Please accept my apologies for the delay in getting back to you. I received the mirror on 28.10.2010 just in time to hang it and show it off to family at a get together on 29th. I am delighted with it. The quality and finish are excellent, it really compliments my other furnishings. I would recommend your products to others." "Just a quick note to say thank you for:- Quick Service Efficient communications, Wrapping the goods so well, Fast delivery, Excellent Value,In this day & age we are all too quick to complain when things dont go as we would like them but a tadge slow on say thanks when they do!" "Wanted to say how impressed we were with the service and willingness to help from everyone we spoke to related to our new mirror which arrived on Tuesday.The Mirror is great and we will certainly recommend you to our friends.Thanks again!" "Just to let your team know, Many thanks for the prompt delivery of the mirror I ordered. It was very well packaged/protected. I certainly will be using your Company again and recommending yourselves to friends etc"
"Thank you very much our mirror arrived on Tuesday very grateful for your excellent customer support." "The mirror arrived as promised (quicker than expected) and is perfect.Thank you for the great service." "ThanksArrived today and the mirrors on the wall looking great.Thanks again"
"Hello Please pass on my compliments to whoever made the mirrors. They look great absolutely great and beautifully made." "Mirror arrived yesterday looks great. Thankyou "
"Got it its Lovely really well made and very very good value for money. Delighted I found you on the web and would be happy to recommend you. Best wishes and thanks. " "Thank you very much, the mirror is now hanging on my wall and looks as good as I thought it would." "Cant wait to get the Mirror!Thanks for your help.I will definitely be recommending you to my friendsService is excellent"
"Thank you, received today and really pleased.Just a short note saying thanksMirror great "
"Just a quick note to thank you for the speedy deliver of our mirror. It arrived in perfect condition due to fantastic packaging and delivery, it is good to know there are people out there who care about their products and customers. The mirror is absolutely lovely (even better in real life) and we are over the moon with it. Thanks again, and we wish everyone there a happy Christmas." "Good Morning, We received our mirror safe and sound last night. We are REALLY pleased with the end result. I would like your team to know that the customer service I received was first class and I would not hesitate to recommend you to anyone else who needs a mirrorRegards"
"Hi - mirror delivered safely today. Great service. Many thanks"
"I would just like to say a big thank you for all your help over the last couple of weeks with regards to my 2 mirrors. We went into the shop at Rawtenstall on Saturday to collect them and the lady there was also very helpful. It makes such a difference when people are so helpful and nothing too much trouble. Well done Helen, the lady in the shop at Rawtenstall and MirrorWorld. I will certainly have no hesitation in recommending you.Once again a VERY VERY BIG THANKYOU.P.S The mirrors look fab and also very classy." "Our order arrived today safe and well. Impressed with the website, order process, feedback, delivery, packaging, goods, ABSOLUTELY J Thank you"
"Just wanted to drop you a quick note to thank you for dealing with matters so quickly and efficiently. I received the highest level of customer service and wanted to go on record to say what a pleasant shopping experience it has been dealing with you and Mirrorworld." "Just wanted to say a huge thank you for my beautiful mirror which as you can tell I am really happy with.Thank you for mirror world." "Mirror arrived in one piece and Im really pleased with result. Thanks a millions"
"Hi there received our mirrors today!.. Thank you so much. They are superb!!" "I'm just writing to thank you for the extra effort that you put in to get my mirrors to me with a fast delivery time. The mirrors are excellent, and are currently in ******* awaiting installation on Saturday morning. Once again, thank you for your excellent service, I'll certainly recommending you and ordering from you again." "Just to say the mirror has been delivered and we are thrilled with it. Thank you so much for you help." "I was very pleased how you dealt with my previous order, so much so that I went ahead and placed another one through your website last night." "Just wanted to say thanks for the mirror it is beautiful over the fireplace- - far exceeded our expectations cheers- "
"Delighted to advise the mirror arrived at 09:40hrs, it was wonderful to have such a cheerful driver, for whom nothing was too much trouble, he even took the packaging with him ! !The mirror is wonderful, I am delighted with the quality of the finish, I am having it fixed to the wall this evening. Please extend my sincere thanks for your manufacturing and logistics teams, in particular I wish to thank you for the understanding when I requested such a short lead time and you're your support from instigation to completion." "Just wanted to say thank again for the frames, they look Great"
"Just to say thank you for the lovely mirror and for excellent customer service"
"I would like to thank you for delivery of what is the most beautiful mirror I have ever see. I will certainly recommend you to friends." "THANK YOU! A big thank you for your great service and nice product. Mirror arrived well packed and looks good on wall. Will have no hesitation in recommending your firm. " "Mirror arrived before lunch and just wanted to let you know we love it!" "Dear Mirrorworld I received the mirrors today and they look really good. many thanks and have a very good weekend.thank you "
"Hi there,I just wanted to let you know that I received my mirror this afternoon. I think its absolutely fantastic and my wife feels the same. The courier was kind enough to wait while unpacked and there was no damage at all, due to high standard of packaging. I will certainly recommend your services to anyone who could use them. Thanks again." "The mirror is up and looks great“ Thank you!!" "Mirror arrived safe and sound today, fitted, and we are very pleased. Thank you for your excellent service." "The mirror arrived today and we are delighted with it. Very nice quality and in perfect condition¦ the packing was particularly good. Thank you for a pleasant shopping experience¦ I think we'll be back for more and will not hesitate to recommend you." "As per your recent email, the mirror turned up this morning. Very pleased with the product. The item was extremely well packed. Many Thanks." "Thank you for the mirror excellent service will recommend you." "Just wanted to say thank you to you and all at Mirror World for your helpful, friendly service and delivery of our lovely mirror." "Having received the mirror we ordered yesterday safely and securely packed I have put it up this morning and it looks fantastic.Thank you very much for your first class service“ all the best for the future of your company it was a pleasure dealing with you." "I received my mirror on the 18th, I just wanted to say how pleased I am with it, I was a little apprehensive ordering with an online company I had never heard of, but I was very pleased with your prompt service and would certainly recommend your company to friends and family." "I was initially dubious in ordered a large over mantle mirror from the internet, especially at the low cost advertised. When I ordered my mirror I was informed by the sales assistant that Mirror World would attempt to deliver before Christmas but she could not guarantee the delivery as we live in the Scottish Borders and I ordered it less than two weeks before Christmas.The mirror was delivered today (22nd December) and we are absolutely delighted with it. The quality is superb and delivery was very efficient. It is perfect in every way and now sits proudly above the fire mantle. Many thanks to everyone at LeCira and Mirror World and may I wish you a very Merry Christmas and hopefully and prosperous New Year especially in present economic climate." "I would like to say thank you for the beautiful mirror which arrived today (in time for Christmas too! ).We chose a bespoke size in one of your dark wood frames and we are very pleased with it. It arrived in good time and was expertly packaged. Many thanks again." "Hi. I ordered a mirror late on Monday, after office hours, which arrived today - Thursday. Less than 3 working days. Excellent service - thank you. Also the mirror is lovely.With thanks :-),"
"Just wanted to let you know how pleased I am with my mirror. Your service is excellent and I will have no hesitation in recommending your site." "Just a note to say thank you for your excellent service. The mirror arrived safe and sound and is now gracing our bathroom wall, making the room look twice the size! Please pass on our thanks for a job well done to the team at Mirror World." 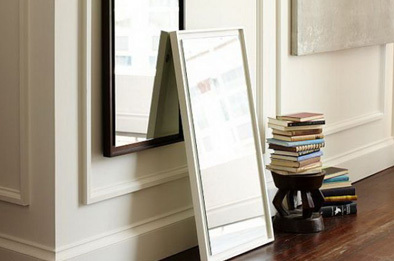 "Just a note to thank you for your excellent service and speedy delivery of our mirror. The mirror arrived safely and in excellent condition, Thank you and your staff very much for your prompt response." "Thank you for the mirror which I received first thing this morning in perfect condition. Your website, notifications and service have all been excellent." "Just a quick word of thanks. The mirrors are installed and looks great." "Received the mirrors today, couldnt be more pleased. They are exactly what we required, keep up the good work." "Hi, just to say mirror is here + all is well, its perfect“ thank you very much!" "Hello I just want to say thank you for the mirror that arrived safely yesterday from mirrorworld. It looks beautiful in our living room. I am very impressed with the quality and also your customer care. Thanks again "
"Mirror received this morning “Thank you“ delighted with it!" "had the delivery of our mirror we ordered, we would like to thank you. The mirror is beautiful and we are pleased with it." "Just to say thank you so much for dispatching the order so quickly, the mirror is lovely, great design and quality!! It looks really good!!" "Just a small noted to thank you for the excellent service I have received. The mirror is absolutely fabulous and looks lovely. Such an honour to deal with such a good firm. Item was all packaged up and was absolutely 100%, Thanks again, will definitely recommend you to anyone"
"Just a quick word to say how please I am with my mirror, the quality and high standard of workmanship of the mirror is excellent. Your delivery is OUTSTANDING; I was called on Tuesday afternoon and had received the item by 2pm Wednesday." "On Tuesday you telephone to say that our mirror has been dispatched. It arrived yesterday, having been beautifully packed, and is absolutely fabulous- even better than we had imagined. We have been most impressed with both your courtesy and the service we have received. Thank you." "I would like to say thank you very much for my order of 1 silver leaf mirror. Its superb, the service was efficient and the mirror was delivered very quick it was here at 8.30am Friday Morning. Will recommend you!" "The mirror arrived this morning, safe and sound. Many thanks for the prompt attention and friendly service; it is greatly appreciated"
"A few weeks ago I ordered a gold-framed mirror for my parents 50th Wedding Anniversary. I would just like to thank your company for such a beautifully wrapped and protected package and how delighted my parents were with the mirror. It was everything that they, and we, hoped for and helped to make what turned out to be a wonderful day." "My mirror arrived today; I just wanted to let you know that I am very pleased with it. Please thank everyone involved in the great service your company provided. " "Just to let you know that my mirror arrived safely yesterday as promised. It is beautiful, I have already recommended you to someone else!! It was very well packaged." "Thank you for your excellent customer service"
"Mirror arrived safely yesterday, beautifully packaged and in perfect condition. It is now hanging in my dining room and looks stunning. Very impressed with the service given. Thank you very much." "The Mirror was received yesterday in very good condition because of the wonderful packaging. Many thanks for the lovely product." "Thanks again for the excellent service with delivery." "Congratulations on excellent customer service approach. Well done and once again my sincere appreciation for your assistance in this matter. I will now gladly recommend your company to my friends." "The mirror arrived safely and in excellent condition, Thank you very much for your prompt response." "I am so pleased with my new mirror; it is a lovely mirror and looks fabulous over my fireplace." "Would like to take this opportunity of thanking you for your help and excellent customer service with our order. We are delighted with the product which arrived well packaged and in excellent condition. Please thank all concerned." "Many Thanks, I have received my mirror and its great!" "I would like to say how please I am with your service. Despite the bad weather conditions yesterday you still managed to delivery my mirror on time. I would also like to say a big thank you to your delivery guy, who was very friendly and helpful. I will certainly be recommending you to friends, family and colleagues." "Thanks very much for friendly, efficient service." "I would like to say thank you for your efficient service of the delivery of the “Elnett” mirror that was delivered today. The mirror was well packed too. It’s beautiful"